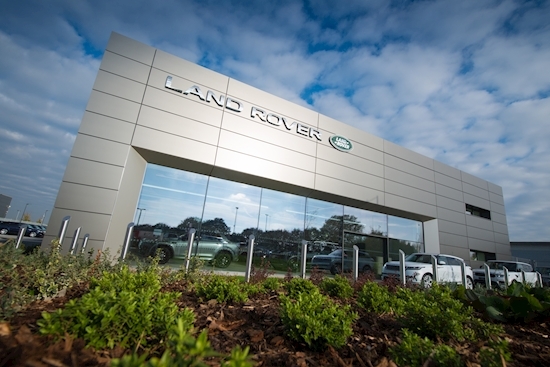 A LAND ROVER dealership in Colchester has been crowned Sales Retailer of the Year after its first full year of trading from a new showroom. The Lookers salesroom, which only opened in November 2017, was awarded the title by Jaguar Land Rover as part of its annual Retailer Awards, which recognise excellent service across its network. It also came fifth for the overall Retailer of the Year. It had more than £7m ploughed into it to create a new and enhanced retail environment when it moved from Cowdray Avenue to Axial Way, and 65 members of staff are now employed there, with plans to expand the team further. Visitors can expect an even greater choice of Land Rover at the Colchester site over the coming months, with new models including the New Range Rover Evoque, and, further down the line, the new Defender, as well as the first wave of purely battery electric models in 2020. Head of business Martin Shepherd said: ‘We are delighted to have received the Sales Retailer of the Year Award so soon after opening the new showroom here. While this fabulous building is a pleasure for our customers to visit, it is really the high level of service and the people we have here that keeps them coming back.